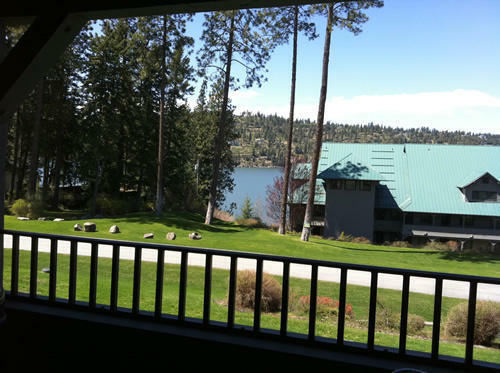 Check out the Lake & Mountain Viewing from the Covered Patio of this lovely 2 Bedroom unit on Arrow Point. A spacious 1266 square feet feature nice amenities like Gas Living Room Fireplace and Master Suite. A cheerful alabaster color scheme keeps indoors feeling bright, while keeping your attention where you want it: outdoors to that irresistible cerelean waterscape! The open Kitchen & Dining Area feature Pantry, Breakfast Bar, plus a suite of appliances. You choose: This unit could serve handsomely as your only or primary residence, but is also a great vacation get-away or investment property. Community amenities include indoor pool, volley ball court & beach. Discovery Bay is very close, with boat slips available for lease. Arrow Point Condos are located next to Eddie’s Restaurant and Gozzer Ranch and Lake Club, a members-only community, membership available separately. ~ by The Oetken Group on July 1, 2011.